To everything their women say. Then looking up at her to pray. Robert McDowell‘s most recent book is “The More We Get Together: The Sexual and Spiritual Language of Love” (Poiêsis Press, 2011). He is the author of 11 other books, including “Poetry as Spiritual Practice: Reading, Writing, and Using Poetry in Your Daily Rituals, Aspirations, and Intentions.“ He is a teacher, speaker and workshop leader living in Ashland, Oregon. 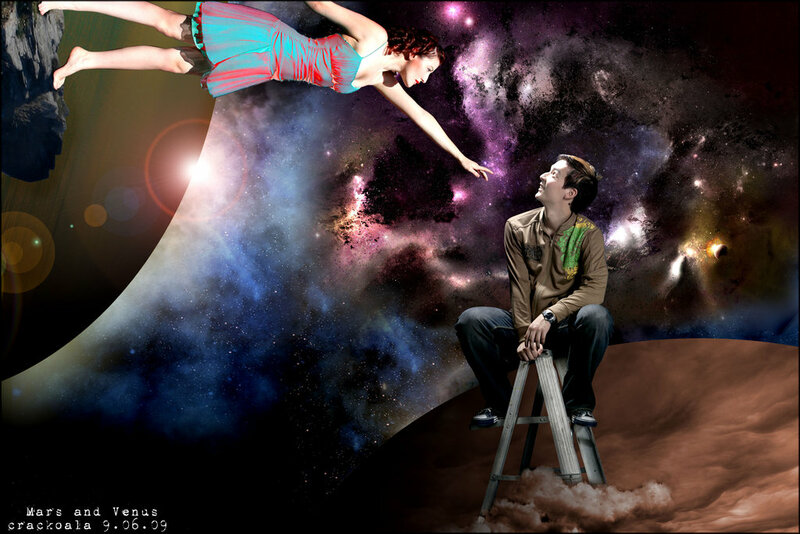 “Mars and Venus” by crackoala is from the website Deviantart.com and is used under a Creative Commons license. This entry was posted in art, photography, poetry and tagged art, listening, love, Mars and Venus, men and women, photography, poetry, relationships, Robert McDowell. Bookmark the permalink.